Let our Nursery Professionals inspire you with best techniques for growing your own herbs and edibles like, blueberries, figs, tomatoes, peppers and more! All classes are held on Saturdays at 10:00 AM at the Nursery at 1290 Brownswood Rd, Johns Island, Sc. One of our knowledgeable Nursery Professionals will be demonstrating be st techniques for planting stunning Container Gardens. Join us for a fun-filled class about Japanese Maples for Charleston. We welcome a local Japanese Tree Specialist and Grower Paul Ferretti as he shares with us his knowledge of Japanese Maple varieties ranging from the ordinary to the extraordinary. 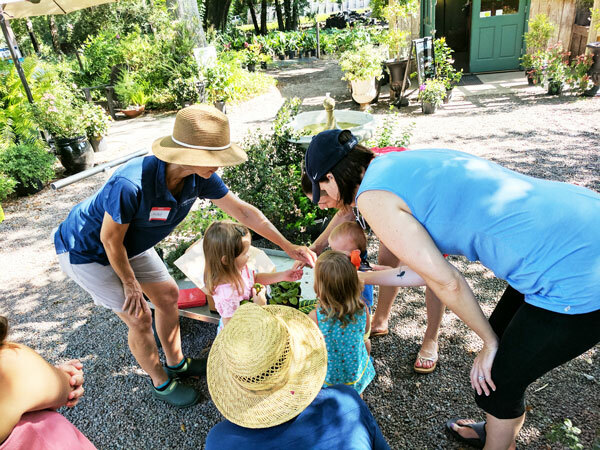 Resched TBD-Kids Class: Sensory Gardening for Children with Special Needs Age 5+ - Sensory gardens provide intimate spaces where young children can be immersed in the scents, textures and colors of plants and related elements. Kids ages 5 and up are invited to come and explore gardening through senses. ​Master the fundamentals of designing with indoor plants and learn which varieties are the best aesthetic choices for the space you have. Did you know that having plants in your home is very beneficial for your health? We can teach you about the specific ways that indoor plants help to clean and condition the air inside your home. We will guide you through the different options for low light, bright light, and filtered light. You will learn how to care for all your indoor plants so that they thrive and beautify your space! ​Charleston is a 4 season area, as you can tell by our recent weather, and although it may not be everyone's favorite season, there is still important work to be done to your garden. In this class we will covering the the importance of, when to fertilize and when to apply pre and post emergent herbicide. We will cover how to deal with frost damage, and when are how to prune. We will also be covering some tricks to help you keep some color in your garden, even during the coldest months. Whether you are new to the area, or have been here your whole life, we this is great class to help gardeners learn how to improve on their garden during a generally dormant season! Join us to learn how to start and maintain a compost bin. We will demonstrate some simple DIY ways to start and maintain a compost for all your gardening needs. Composting in Charleston is essential due to the nature of the soil in our area. You may have sand, or clay or just poor soil due to new construction where all top soil has been removed. Composting is an inexpensive and natural way to improve your soil. Included in this class will be soil testing. We will take a sample of your soil and send it to Clemson Extension for testing. Clemson Extension will analyze your soil and send you the results via email. Please bring with you at least 2 cups of soil in a zip lock bag. This sample should be taken from 8-12 different spots in your yard. A Terrarium is a little garden created by cultivating small plants in an open or closed transparent Container. This class is for all ages (5 and up)! All materials will be provided so you will leave with your own completed Terrarium! It makes a great gift or keep it for your own enjoyment. Kids ages 5 and up are invited to join us for our kid's Series Gardening Class! We will be painting clay pots and planting some beautiful fall annuals in them for you to take home. Sensory gardens provide intimate spaces where young children can be immersed in the scents, textures and colors of plants and related elements. Kids ages 5 and up are invited to come and explore gardening through senses. Join us at the Nursery for an hour long class. We will discuss different plant options that are drought tolerant or have low water requirements such as succulents. ​We will be discussing what plants will attract butterflies and other pollinators to your garden. Whether you have sun or shade, we can fill your gardens with bees, hummingbirds and butterflies! 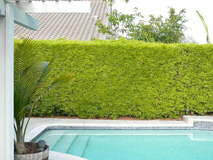 ​Our Nursery Professionals will introduce you to various different shrub and tree options that make great living fences for privacy that will also beautify your yard at the same time. What better gift for the Mom that loves plants! Kids can come and paint a wonder full pot for Mom and plant a beautiful flower in the pot to give to mom for Mother's Day. One of our knowledgeable Nursery Professionals will be demonstrating best techniques for planting stunning Container Gardens. Learn about what edibles plants grow best in Charleston this time of year. Let our Landscape Design Team give you some tips and tricks to DIY landscape design. ​Intro to Southern Gardening - Right plant Right place. Learn more about designing and implementing new & old varieties for the Charleston area. Sign up today for our next gardening class! Kids will review the 4 seasons and SC weather for those seasons; discuss what fruits, vegetables and flowers grow in these seasons; play a produce matching game; and will learn how to plant fall/winter plants from seeds! This month we will be planting container gardens with Herbs, Annuals and succulents. Each child will learn a little bit about each plant and how to take care of it, then they will be invited to plant their own Container Garden using some of the plants they will learn about. Join us for a Kids' scavenger hunt for ages 7 and older. Younger kids are invited to participate with assistance from Mom or Dad or an older sibling. This activity will focus on what kids can find here at the Nursery. After the scavenger hunt, the kids we will share out findings and play games. ​Join us for an educational class on basic landscape design principles that you can apply in your yard! Led by Brownswood Nursery's Lead Landscape Designer Ryan Watkins. Join us for an educational class on how to incorporate Plants that attract pollinators into your landscape! Join us for an educational class on how to incorporate Herbs & Edibles into your landscape!